Do you want to take that overdue extended holiday or need parental leave but find leaving your practice and the responsibility for your patients a problem? A two week break is manageable, but three to four weeks or longer can be stressful and difficult to manage, particularly for solo practitioners. if you are facing any of the above situations.. I may be able to help as a Locum Orthodontist. Available anywhere within Australia or New Zealand. I am a friendly, welcoming and caring person who will take an active interest in your patients and practice. 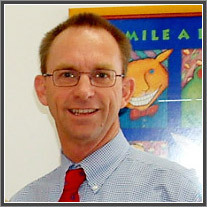 I qualified as a Dental Surgeon at the University of Queensland and received my postgraduate degree in Orthodontics from the University of Sydney and have since been working in a private specialist practice in Brisbane. My private specialist orthodontic career has been in Brisbane as both a group and solo practitioner with experience as an employer of assistant orthodontists. I am experienced with all types of fixed and removable orthodontic appliances, orthognathic cases and retention modalities. Comfortable with straight wire being either 0.018 or 0.022 slot, self ligating systems together with functional appliances either fixed Herbst type or removable functional appliances eg: Twin Blocks. As an accredited Invisalign practitioner, I am confident and competent with this appliance system. I participate in and support the “Give a Smile” programme which is a public health initiative of the ASO. Take the break you deserve and rest assured that your patients and your practice are in safe hands.